perfect first daz - Great first daz for not expecting waves on the west cost. Noone out there. Good fun even surf was low and the board to short. 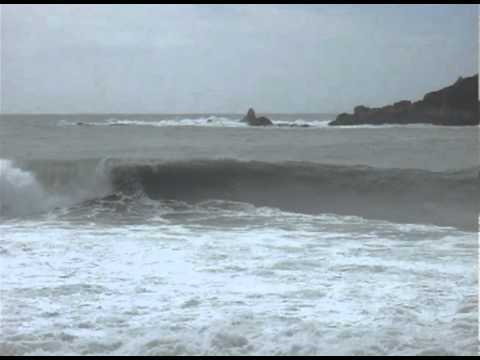 lyall bay solid 2ft - It was nice and sunny and had consistant 2ft sets at the corner and the break just next to it. the break next to the wall was bigger,faster and hollower. 3a e darrèra part del viatge al finimond. Un segond surfari plan capitat. Surf cada jorn 2 còps la jornada. Un grop amistós, bona organizacion. Ostal en riba de mar. Indicators, Manu, Whale. 1 day 4-8 feet offshore. Superb. shapers in NZ - im a small time shaper in santa cruz have my own company and ghost shaper for stretch, m10...im curious about the NZ board industry. its hard to find any real info about whats going on down there. does anybody know if there could be a possibility for me to come down for a few months, and work for any local companies? can anyone give me a push in the right direction? id love to get away from the rat race here on the way over to indo. being a local boy from SC i know about inviting in outsiders cuz we have a heavy local vibe here, but im a quiet respectful guy who can surf well and make some beautiful boards...anyone kind enough for some real info would be appreciated. That's a tough question; it depends on your perspective as to which wave is better ANYWHERE for that matter. - If the guy posting the previous comment was serious, he'd have to get a sh%tload of financial backing, be around 21 years old, & check virtually ALL the breaks from NI to SI. Don't forget to take many years out of your life to get acxquainted with the local people, in order to get on with the world's best kept secret spots existing on a global level in NZ; indeed 1 of the final frontierlands remaining on Earth.